If a Titan falls in Swampland’s forest and no player is around to hear it, does it still trigger that satisfyingly bassy boom? Respawn intend never to find out, rather feeding their debut shooter with new maps and modes in an effort to keep its player count evergreen. The developers will today announce details of Game Update 8 – their first since IMC Rising, the last scheduled DLC release for Titanfall – and promise it’ll be a significant one. Titanfall’s “biggest update” is “on the way”, an official tweet divulged this morning. Respawn will announce particulars during a Twitch presentation beginning at 10am PDT today – 5pm in the UK, and 3am in Australia. In the seven months since Titanfall’s release, the developers have mustered three DLC packs – bringing the game to a post-release total of nine new maps. No further paid-for expansions were planned when we last heard from Respawn – but that doesn’t preclude the developers from distributing new modes and fixes in free updates, as they have done on previous occasions. 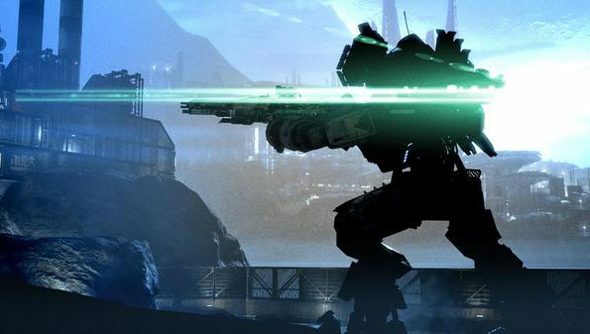 Titanfall’s Game Update 5 introduced black market currency, for instance, and a mech-free Pilot Skirmish mode went live last month. Are you still felling mechs? We ruled Titanfall to be one of the best first-person shooters on the PC.